So, I decided to work on an Art Journal page. 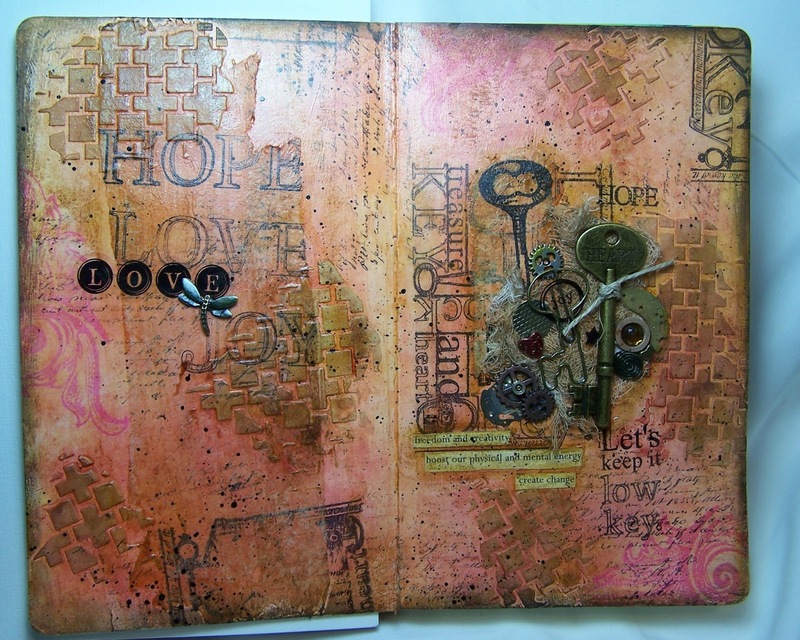 Funny thing (without even thinking too much about it) the journal page ended up with a “key” theme. Get it? Keyed up…key theme. Ha! Makes me laugh. Which, by the way, is the point. By the time I was done with the journal page I was feeling much lighter and happier. Craft therapy…it is a wonderful thing. No recipes or extra notes tonight, now that I am feeling relaxed and happy I am going to see if I can get some much needed sleep.